MUAC took record numbers to the ultimate round of XCR13, the Tan Relays, with 50 athletes filling 13 teams across 8 open divisions. 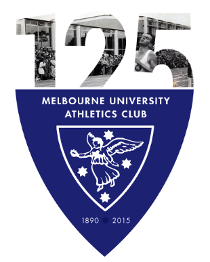 MUAC’s oldest rivals, Sydney University Athletic Club, returned to Melbourne to race the Tan Relays and MUAC were only too happy to act as their hosts for the day, though hoping to best them around the Tan. The Women’s Division 1 team was lead off by Sophie Barker, who posted the third fastest time of the day, 12:45. Julie McNamara and the returning Mel Fayen ran strongly and Sarah McSweeney, backing up from a heavy workload of intercollegiate athletics brought the team home in third place to claim the bronze medal. There were strong performances by the Women’s Division 2 team of Katica Ramirez, Ruth Mills, Roisin Jones and Melissa Natasha to take 7th place. 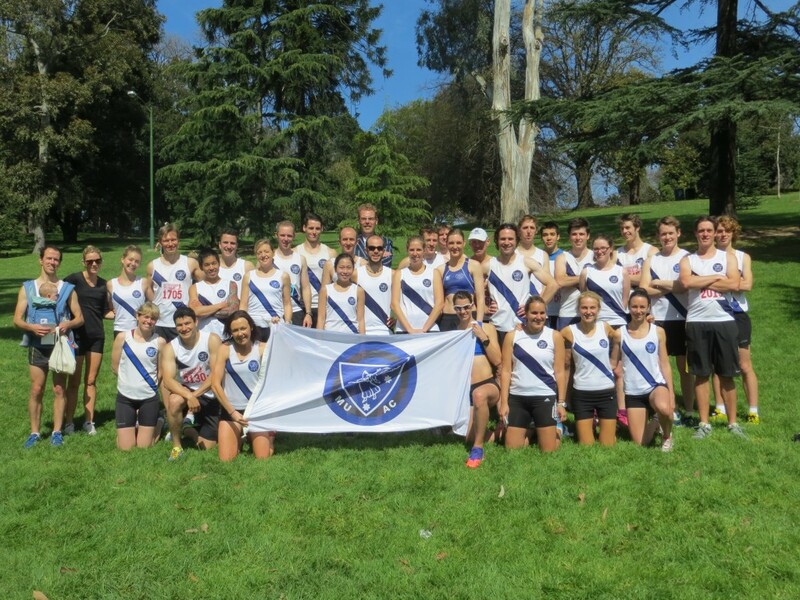 MUAC’s three Division 7 teams claimed 2nd, 4th and 22nd place. Zac Newman lead MUAC out in Men’s Division 1 with a stellar run, chalking up another PB of 11:36 and looking to be in ominous form for Melbourne Marathon in 3 weeks time. Mark Kirwan returned from a long injury lay off to show he’s still in good shape, running 11:54, and David Paroissien backed up well stepping straight off the plane from Jakarta and racing. MUAC needed to beat Glenhuntly to claim fifth for the season and SUAC to claim bragging rights. The final result was SUAC 5th, Glenhuntly 6th and MUAC 8th. The Men’s Division 2 team of Goedecke, Sheldon, Sampson, Morgan, Mayston and Ueda took out fifth place, less than 3 minutes behind the MUAC first team, a sign of the depth in MUAC ranks. MUAC also took out 4th in Mens Division 3, 5th in Men’s Division 6 and 2nd, 8th and 10th in Men’s Division 7, with Callum James wining the showdown of the sprinters. MUAC gathered on the grassy bank overlooking the Tan for morning tea, a team photo and to wish MUAC stalwart Grant Morgan a happy birthday. Soon thoughts turned elsewhere and athletes regathered at the Rawlinson Track for the traditional end of winter novelty race and socialising, with our compatriots from Sydney University. A convivial afternoon on the deck outside the MUAC club rooms was followed by some further socialising at The Clyde Hotel, supporter of MUAC student membership. The Melbourne Marathon now looms as the final race of the winter season and then thoughts turn to track and field.